It’s the season of Christmas cookies, eggnog, Santa, presents, family, friends, dinner, whimsical activities….and it goes on and on. Christmas is truly the best time of the year to relive the memories from our childhood and cherish the fact that how lucky we are to be surrounded by such loving people. 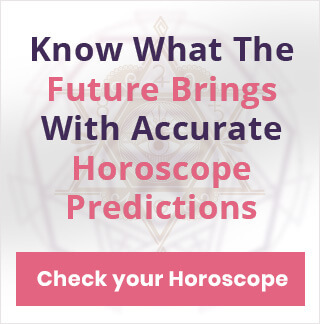 Get personal guidance in love, career and finance, and more by yearly horoscope! Around holidays we tend to transform into this whole new individual who is more fun, adventurous, loves donning loose and colorful clothes and is adorable. Is it just me or this sounds like a fictional character to you as well. If you think about it, there is an imaginary character inside us all who tends to break out only around #Christmas. So if you are curious to know more about it, then let’s find out which holiday character are you based on your zodiac. You people are courageous, unwavering, and dynamic. Can pull any attire and want to be the best at everything. It seems you are a close match to the young Cindy Lou Who. Much like you people, she is adorable, determined and is trying to save Christmas. Read your entire Aries monthly horoscope. You may get a little uneasy seeing this character mentioned in front of your sign but come on, who doesn’t want to be Willie portrayed by none other than Billy Bob Thornton. #Willie always manages to get a good bargain and never misses a moment to enjoy. Despite all his recklessness, he is a good man at heart. Read your entire Taurus monthly horoscope. Max the dear in the popular movie Grinch is trustworthy and loyal very much like you guys. He is always standing by the Grinch’s side no matter how bad he is. Which perfectly resembles your big heart and a dual personality that every Gemini is known for. Read your entire Gemini monthly horoscope. This is the zodiac of those who are creative, imaginative and loyal. #Cancerians love hanging out at their own den with the same set of friends they go everywhere else with. Probably this is the reason why we chose Serena for you from the Gossip Girls. Read your entire Cancer monthly horoscope. Leos, you are quite easygoing individuals and have a smart sense of humor. Getting along with you becomes pretty easy. But the best part about you is the fact that you are creative which is why your Christmas character is the beloved Buddy from the movie Elf. Read your entire Leo monthly horoscope. Like her, you too are bluntly intelligent and don’t seem to get excited by any of the holiday traditions. Virgos aren’t stuck in the fantasy Christmas world like most of us, they look at it with a different perspective. Susan’s portrayal of a practical and painfully straight girl matches you quite perfectly. Read your entire Virgo monthly horoscope. You are pretty intelligent individuals with everything in the right place. But sometimes you get too carried away with your pragmatic attitude and start looking at things from a totally different angle. And this is exactly what happens with #JackFrost in the namesake movie. Read your entire Libra monthly horoscope. You by every means make up for a self-sufficient individual and this so because you’re passionate and know exactly how to manage your resources. A reason for which we have chosen Kevin McCallister from Home Alone. Read your entire Scorpio monthly horoscope. You are loyal, tough, hardworking, and love pets. Sometimes you can even become a cleanliness freak like Monica but that’s not your Christmas character. We think Pam from The Christmas party will suit you the most. She is just like you! 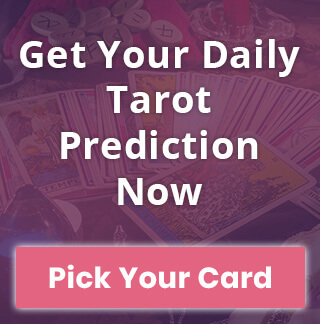 Read your entire Sagittarius monthly horoscope. Capricorns may be the second fiddle but they kinda have it all to be the lead. They are fearless and determined and so is the Christmas character that resembles their personality. We think Jovie from Elf comes closest to being a Capricorn. Read your entire Capricorn monthly horoscope. The Aquarius zodiac is all about being independent and adventurous. And for this sole reason, we have chosen Griswold from National Lampoon’s Christmas vacation. This man knows how to live every moment to the fullest just like you. Read your entire Aquarius monthly horoscope. Much like most of the #Pisces men and women, Sally over here is an ultimate romantic. These people are the ones who still believe in having handmade gifts and indulging in family time every night. They often fall short of making their emotions clear to the outside world. And that’s why we chose Sally for you because she is as crafty as any typical Piscean. Read your entire Pisces monthly horoscope. How much do you agree with us? Christmas is a celebration of parties, festivities, and get-togethers. 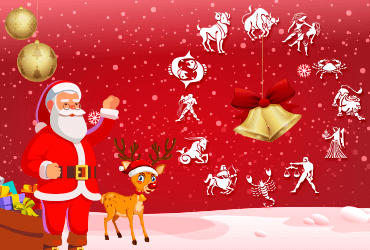 Your zodiac sign's Christmas Horoscope reveals everything you must know!